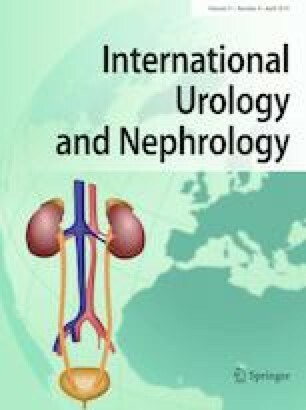 Contrast-induced nephropathy (CIN) is one of the most important complications of contrast media. We aimed to evaluate the preventive effects of pentoxifylline (PTX) on CIN in diabetic patients undergoing angioplasty using cystatin C.
The present study was a randomized clinical trial, which was investigated the impact of PTX in the prevention of CIN among 90 diabetic patients undergoing the angioplasty using cystatin C as a novel biomarker of renal injury. The patients randomly were allocated 1:1 into the intervention and the control groups. The intervention group received a total of 1200 mg PTX orally before the angioplasty. The serum level of cystatin C and creatinine was measured at baseline and 24 h after the procedure. The incidence of CIN was 8.9% in the PTX group vs. 6.7% in the control group (p = 1.00). The baseline level of cystatin C was 1.31 ± 0.39 mg/L in the PTX group and 1.24 ± 0.42 mg/L in the control group (p = 0.561). After angioplasty, the level of cystatin C was increased to 1.33 ± 0.61 in PTX group and to 1.31 ± 0.47 in the control group but was not statistically significant. The similar pattern was also seen in the level of serum creatinine. The results of this study did not support the potential benefit of PTX in the prevention of CIN in diabetic patients undergoing angioplasty. The authors would like to thank the Cardiovascular Research Center of Shahid Madani, Tabriz University of Medical Sciences (Tabriz, Iran), for support of the investigation. This study was granted by the Cardiovascular Research Center of Shahid Madani, Tabriz University of Medical Sciences (Tabriz, Iran).